Spread Betting involves speculating a security’s price movement. The bettor does not own the asset and wins (or losses) according to the margin by which the outcome differs from the expected value. Spread Betting provides a very interesting opportunity to earn exceptional amount of money even when the market is failing or not performing well. Recently, it has become very popular in the United Kingdom. Many spread betting companies in UK have started offering these services. It is important to find an appropriate trading platform in order to ensure a great betting experience. Moreover, it can also enhance the chances of success. However, it may not be an easy task to find the best spread betting broker since many variables are involved. This article will try to highlight the most important points which, if followed, can ensure you end up with one of the best spread betting brokers in the UK. Platforms provided by brokers to make spread bets are not free, of course. Each broker charges a certain fee for allowing you an access to the market. It is important to compare this cost for different brokers. Basically, there is a difference between the purchase price and the selling price for each asset and the difference is the “Spread”. This difference is the fee that bettors have to pay. So, smaller the spread, lower will be the cost of trade. Hence, anyone looking to select best spread betting brokers must consider this important factor and choose the broker with the tightest spread. Does the broker provide market variety? A bettor can be limited to his or her bets by the broker if the broker has limited market variety. What it means is that it is recommended to choose the broker which offers a wide range of assets and security to make bets. Suppose, something interesting is happening in the gold market and you feel you have an opportunity to make some quick money there. However, you will potentially lose this opportunity if gold market is not supported by your spread betting broker. This flexibility is very important if you are committed to stay long term in this game. Today, almost all bets and trades are made on computers with the help of dedicated trading platforms. Analysis of trading platform is important while deciding best spread betting brokers as it can potentially affect the user experience. Unfortunately, with the exception of few, all spread betting companies in UK offer trading platforms that are very similar. Some of the important features which you need to look for include layout, interface, accessibility and easy navigation. 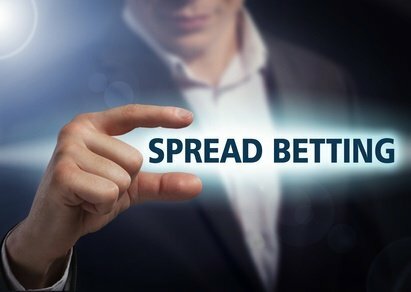 In order to start making spread bets and practically use the services, all brokers require users to deposit at least a certain amount of funds. The exact amount of these funds differs from broker to broker and they can vary from $5 to $1000 in most cases. Most people do not like to spend a lot of money in this regard, especially if they are new to the market and are taking spread betting as just a hobby. At the same time, however, it may be important to balance the amount of minimum deposit against other features. For example, some brokers ask for a minimal deposit of $5 only; however, the service offered in return is usually limited to basic features as well. Just like the minimum deposit amount discussed above, all spread betting brokers also have a certain amount of minimum bet size. This means you need to bet at least that amount every time you place a bet. Again, it is important because if you are a beginner or an amateur, you do not want to spend a lot of money per single bet. Some of the best spread betting brokers offer a lot of extra features along with providing usual spread betting services. These brokers often have mobile applications which allow controlling all your bets and trades from mobile anytime and anywhere. This can be an important feature for those who make frequent spread bets. Similarly, some top spread betting brokers companies also provide education and useful information related to spread betting, which covers trends, charts and real-time data. This can be especially useful for new entrants in the market. It is strongly advised to make sure that your chosen spread betting broker is regulated by the Financial Conduct Authority (FCA). If it is not, you are probably involved in illegal spread betting. Last but not the least, adequate risk management is one of the most important features of any business or trade. Same is true with spread betting. You do not want to be taking unnecessary or huge risks. Trailing stop orders and placement of guaranteed stops are some of the commonly used risk management tools which ensure that users do not take more risk than they want to. Again, it is a highly desirable component of any trading or betting platform and it must never be ignored when choosing an appropriate spread betting company for you. It can be seen from the above points that a lot of variables exist which determine the attractiveness of any spread betting company. It was not possible to cover all the variables in one article. In most cases, these points should be enough to make a good decision regarding the choice of a broker. There are many best spread betting company in UK; however, you will be in a much better position to choose one of the best spread betting brokers if you keep these aspects in mind.